Morgan Freeman has been acting in films and voiceovers for decades now, and is well known for his booming and impressive voice. Science geeks probably know him for the series he narrates called Through the Wormhole on the Science Channel. The series is rather like Cosmos. The show is running an episode in the coming weeks that is looking at planets where things would be different than Earth. From the sound of things physicists are studying gravitational forces under the influence of helium. 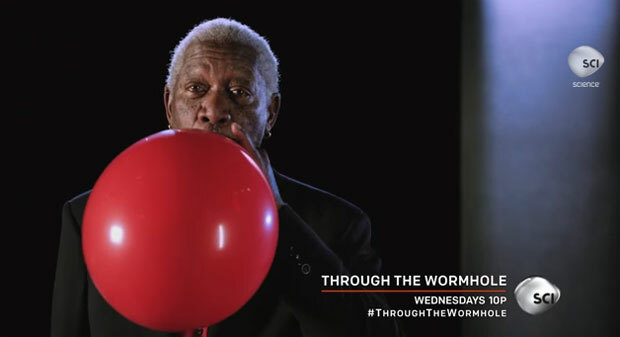 So naturally, we get to hear Morgan Freeman after he inhales some helium from a balloon. 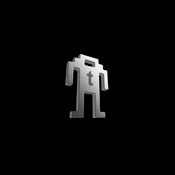 He still sounds cooler than most people, even on helium. Next, I’d like to hear Samuel L. Jackson or James Earl Jones on helium.